Competitors are constantly talking about their ‘oats‘. How they love oats and they are the best thing on the planet. 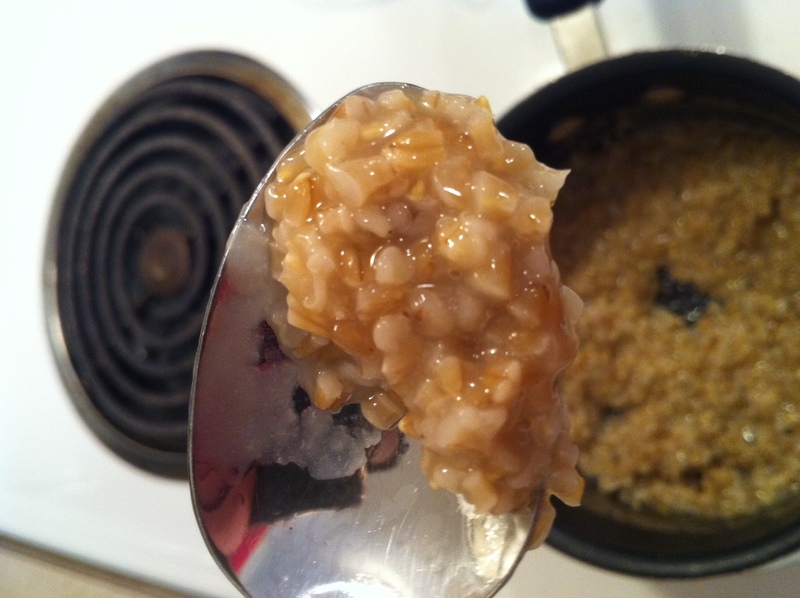 I don’t eat oatmeal in the mornings like 95% of competitors, I make kasha, which I absolutely adore. Confession time. I utterly despise oatmeal. Even as a small child I hated oatmeal. I have vivid memories of stubbornly refusing to eat it while my mom pleaded with me to just have one bite. Today I decided to give it another try. I organized a Grain Off. 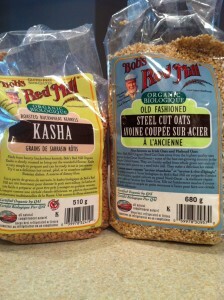 Red Bob Mill was the brand of choice, after all its the only brand of kasha that I like. It was important to ensure an equal playing field for both grains. I asked around on Twitter to see what people like to put in their oats. All sorts of options came my way: protein power, nut butter, fruit, sugar, chocolate, PB2, eggs, yogurt, coconut, nuts, and coffee; to name a few. While the oats simmered on the stove, I gathered some ingredients to add to the oats. 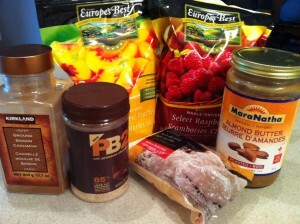 You had better believe nut butter was on the list! Fruit and nut butters were my weapon of choice. About 15 minutes later the oats seemed to be ‘done‘. Still kinda gloppy...is gloppy what we are going for? According the instructions on the package, the oats were finished. I decided to cook them a tad bit longer to reduce the gloppy factor. Two different oat concoctions were created. 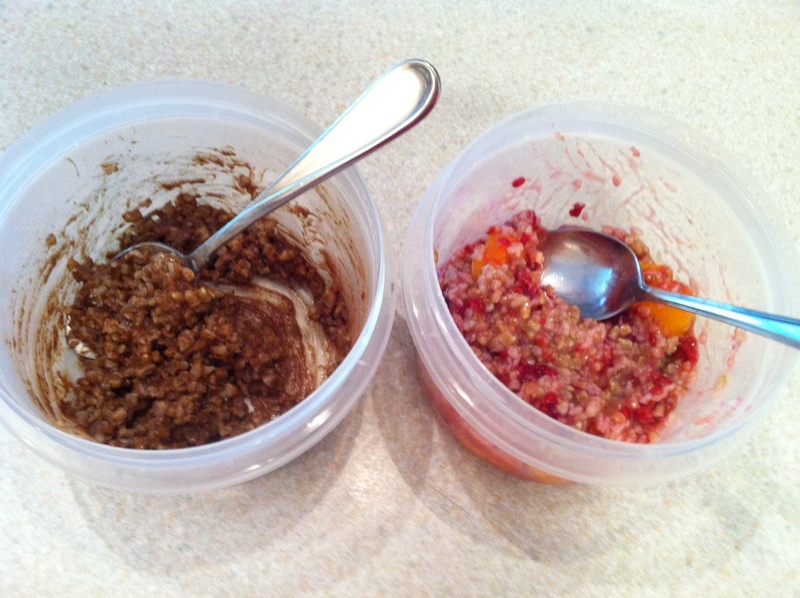 One was made with chocolate PB2 and cinnamon; the other with raspberries, peaches, and coconut. For 30 carbs, that is not very much food! I would have to dig out my cute coffee spoons to eat this in more than 8 bites. The chocolate PB2 sucked up the gloppiness and created a peanut buttery chocolate paste that was rather chewy. The fruit adventure with coconut was less industrial glue-esque, but still gloppy and chewy. I ate the fruit and then stirred the oatmeal in hopes I had missed a raspberry. First place goes to Kasha! Not gloppy, 4 times the size for the same carbs, and Donloree approved! No longer am I going to wonder if I made a wrong turn at the age of three when I put my foot down and said no more to the oatmeal. 28 years later and my original conviction stands strong. Just because all the cool kids are doing it, it doesn’t mean I have to. I’m a breakfast trend setter and that’s that. What food do you hate that you’re ‘supposed‘ to love? 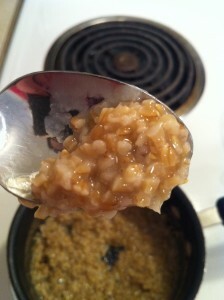 The steel cut oats I have aren’t as goopy as what you have there……sorry that you don’t like oatmeal! It’s still one of my faves. What is kasha I’ve never heard of it before???? It is roasted buckwheat. It comes out like a cross between quinoa and oatmeal in texture and the smell doesn’t make me gag. It is kind of nutty in flavor as well. 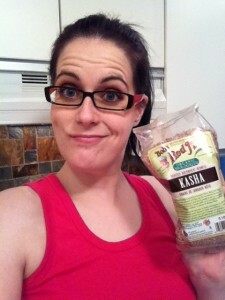 Mmm… I’m going to have to try Kasha. I love buckwheat! It sounds like your childhood mornings were just like mine! Breakfast consisted of oatmeal day in, day out & I absolutely hated it. Mornings were a battleground until my mom finally gave up & made other options available. To this day, I don’t eat oatmeal. I hate the texture of oatmeal. It’s deplorable. Eating it makes me dry heave. However, UNCOOKED oats are quite delightful and come with the same nutritional perks. I have like 1/3 cup of oats with 1/4 cup of ground flax and a LOT of cinammon. I swear it is like dessert. Nice. I feel the same way. You have created your own spicy ‘granola’ type of a thing. I will have to tray something similar, sounds tasty. I like oatmeal cookies…lol! I hate oatmeal…I kinda like them with a lot more water than u should use. I add a little bit of lemon a is crystal light powder to add a different flavor…simple and pretty good for oatmeal and smells great! I hated oatmeal as a kid but now oats with protein powder is my favorite meal! I have never heard of Kasha, I’ll have to try it! You will have to let me know what you think. It needs ‘spicing’ up just like oatmeal does, but I like the texture a LOT better. Say no to gloopiness. I only eat oats raw! I will put them in smoothies or for a chocolate treat. I prefer to eat quinoa for breakfast with fresh fruit. 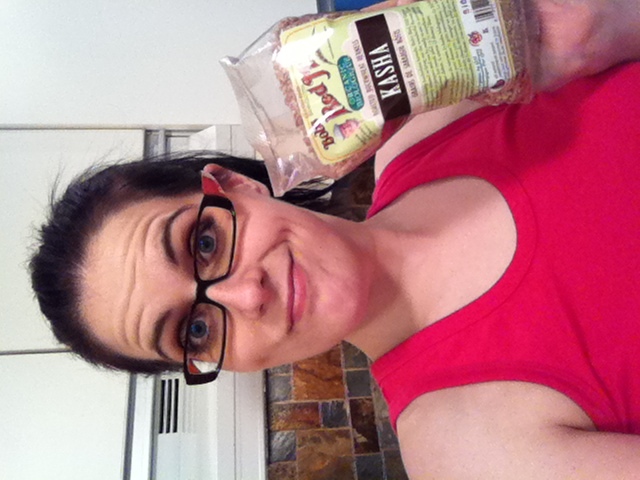 I am definitely going to try Kasha now that you brought it up!! Kasha comes in different ‘cuts’ like oatmeal. 🙂 I get the whole grain roasted kind. It is closer to quinoa in my opinion, and I love quinoa too. My hubby hates the texture of them too. He decided to ‘re-try’ them a few months back, like you did. He is on your side on this one =) I’ve cut them out of my diet for now but still loved them in the morning. It was my favorite prep food to eat! What I hate that I shouldn’t is chicken! I can eat it right off the grill or pan but left overs? No way. plain and bland? no way. 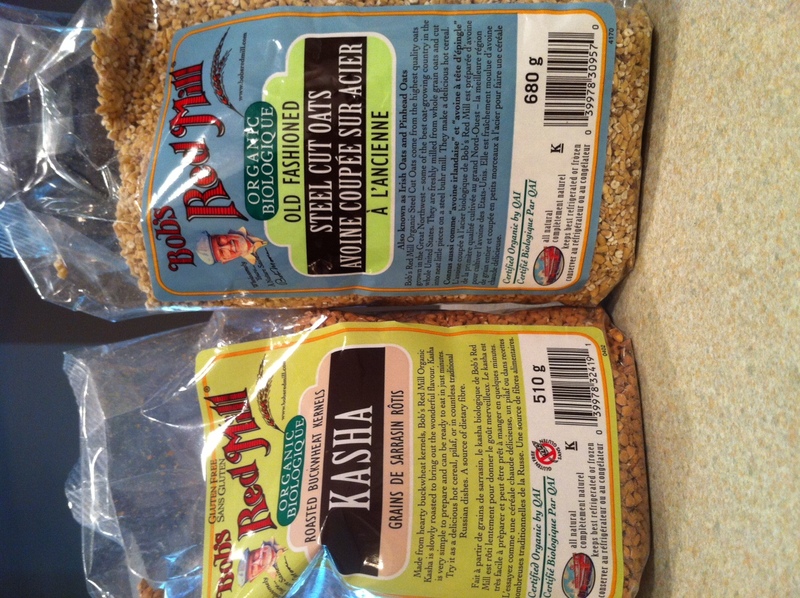 Organic oats….a MUST try you say? I will look for them next time I am at Superstore.